It's a great time to prepare for that next beach holiday, or just wear it as a lounge wear, yoga retreat wear. 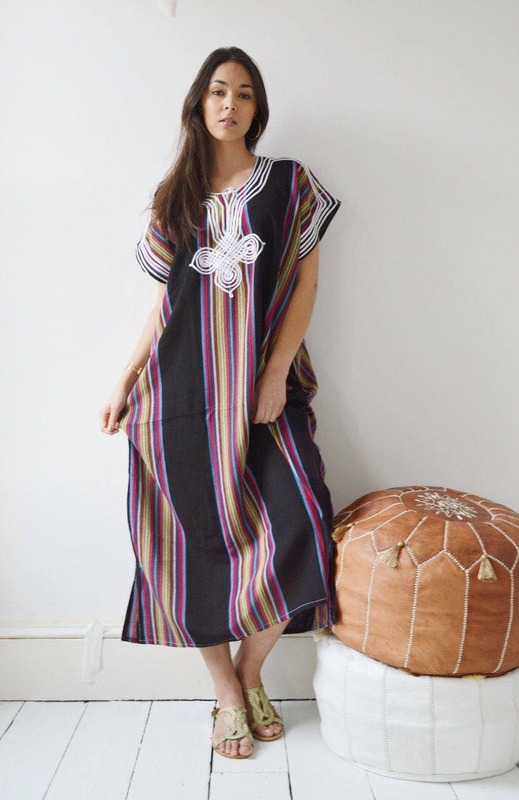 ♥This caftan comes in One size (Suits S/M/L/XL, up to bust 120cm-50 inches). I bought this dress for my mother in law who is so American and very picky on what she puts on. She has never before seen this kind of fashion, but I the other hand grew up seeing my entire family in these types of clothing. I do know they are very comfy, it’s like wearing nothing in the house. She loves it dearly so I made a second purchase. Client service is amazing, the owner is very understanding and respectful. The only problem i have is it took more than a month to receive it, that because this company is based in London and I lived in Alabama. Could this stop me from reordering, no!